If you want to be in the middle of everything in Queens, Lefrak City is the place to be. People from all over the world live in Lefrak City apartments. The complex is family-friendly and has nearly everything you’d like to find in housing, whether you’re single or married and raising a family. Boasting everything from 24/7 security, swimming pools and soccer fields to its own public library means there’s rarely a vacancy. Online rent payments and maintenance requests are available with a simple click. Movie nights, cultural events and other seasonal activities make Lefrak City a popular place to live. An onsite restaurant is planned for next year. Who wouldn’t want to live there? Are you planning to move into Lefrak City? We can’t blame you for being excited. But don’t let moving overshadow your excitement. Call Q’s Moving today to arrange your move into this busy, bustling complex. Moving Away From Lefrak City? While it’s a great place to live, life changes, and you may move somewhere else in Queens–or into New York City. Maybe Manhattan is in your future, the Bronx is better, or you’re headed to Upstate New York. Maybe you’ve decided to cross the river into New Jersey. Wherever you go out of Lefrak City, Q’s Moving is ready to help get you there. While living in Lefrak City can be exciting, moving in or out isn’t. Especially if it involves moving into or out of a high-rise apartment building. Moving yourself with your friends may sound like an easier alternative, but what if they don’t show up on moving day? We will. 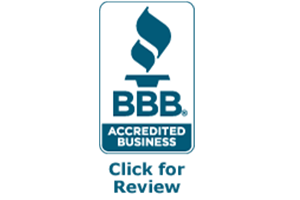 At Q’s Moving Corp., we are fully licensed and insured in the state of New York. Our movers are available 24/7, so we can work around your schedule. We want to make sure your move to or from Lefrak City is as painless as possible. With Q’s Moving in charge, we’ll make sure that you’re moved out of your old place and in your new one quickly with everything intact. Our packing and unpacking services means you won’t spend weeks–or months–living out of boxes and wondering where you put something you need now. Whether it’s a house, apartment or condo, Q’s Moving has everything covered. We want you to have the best experience you can moving anywhere in New York. Selecting a quality moving service in Queens doesn’t have to be difficult. At Q’s Moving, we want to put your mind at ease. Our residential movers in Queens provide exceptional service to guarantee 100% customer satisfaction. We’re a family-owned company that has been in the business for three generations. We have over 45,000 happy customers. Find out how we can help you by calling 888-951-MOVE (6683) or contact us for a free moving quote.